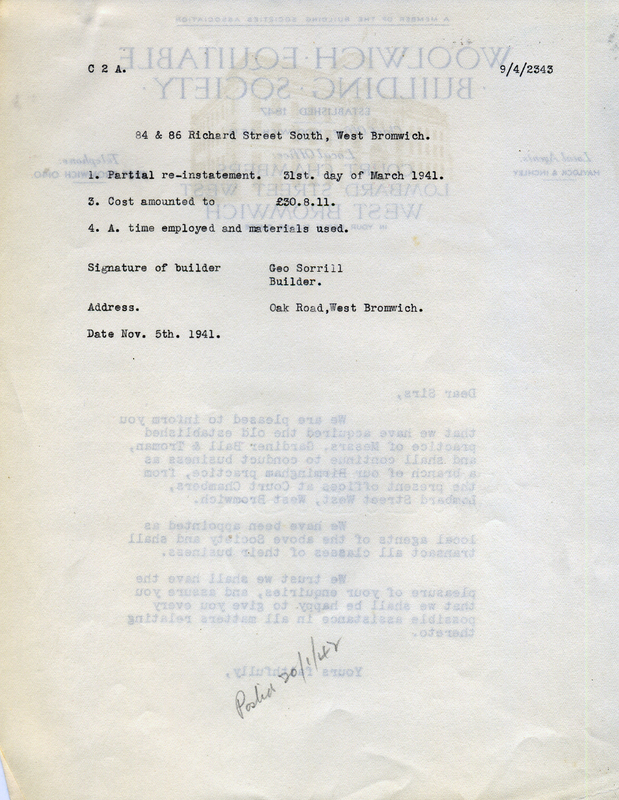 The War Damage Acts 1941 to 1943 provided that payment should be either the cost incurred in the repair of the war damage by enemy action to land and buildings in the United Kingdom or, if this was uneconomic, a value payment on the basis of prices ruling at 31 March 1939. 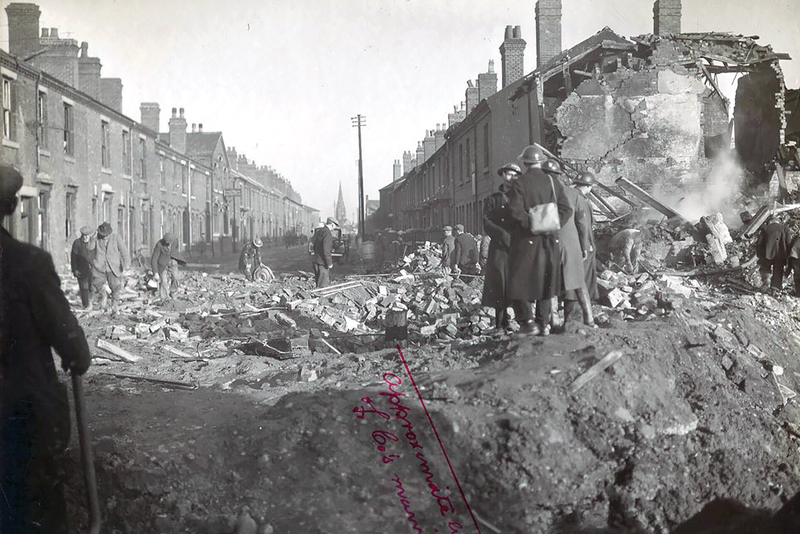 Mr Alfred Bayliss was the owner of three properties in Richard Street South – numbers 78, 80 and 82 – which were damaged by the bombing raid of November 22nd 1940. These properties had been let to Albert Cooper at 78, Bert Randle at 80, Mr Pittaway at 82. Nos 78 and 82 were totally demolished by a bomb but the fractured shell of No. 82 still stood. 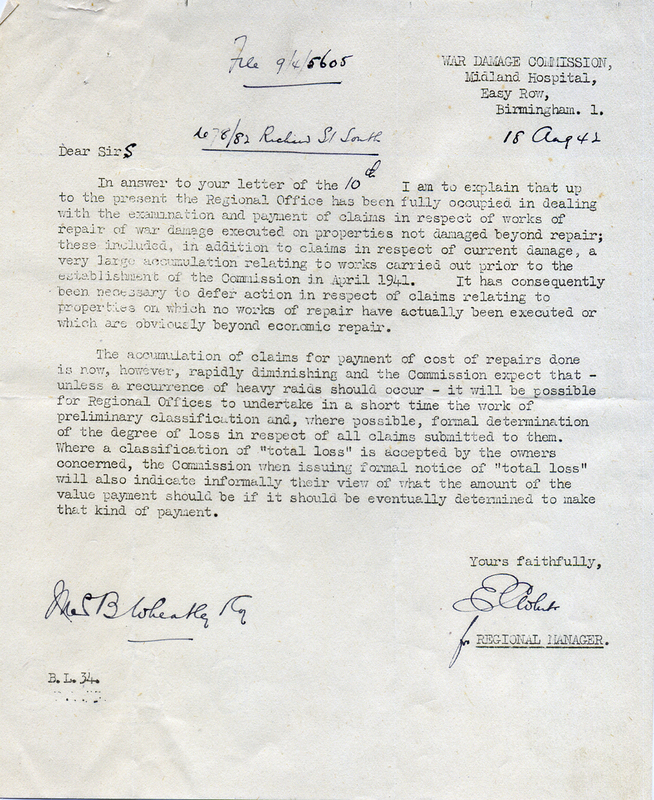 Local land valuers Bernard Wheatley & Co dealt with the correspondence in relation to the regional office of the War Damage Commission (some of which is reproduced below). 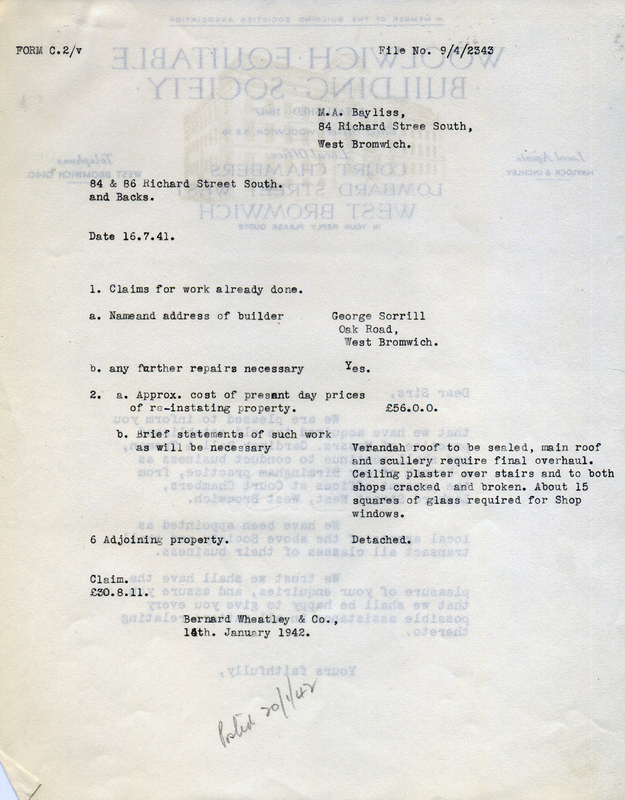 In May 1946, the War Damage Commission notified him of the payment they determined was appropriate to restore the properties (under the terms of the War Damage Act of 1943). They eventually offered him £330 in damages – this was calculated on the value of each property before damage being £125 and after damage £15. 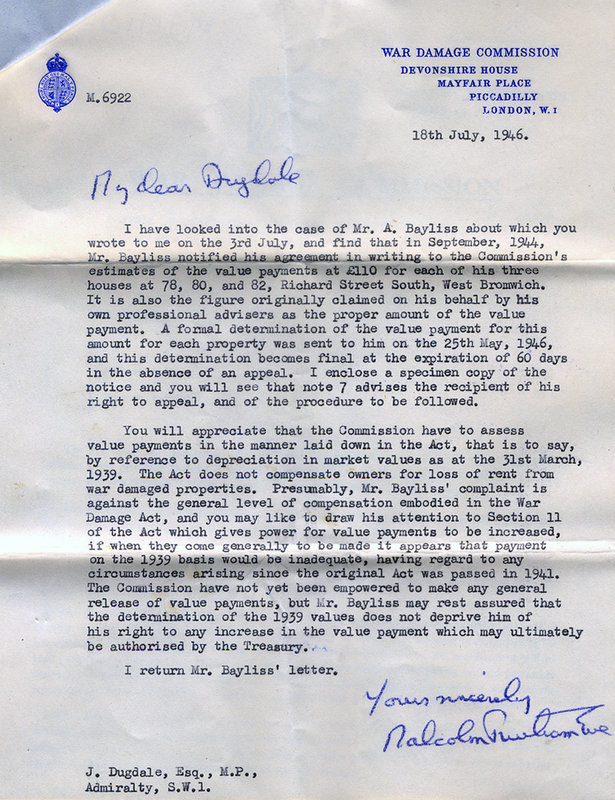 Mr Bayliss was apparently unhappy with this offer and contacted the local MP, Mr John Dugdale, to plead his case. His appeal was unsuccessful. 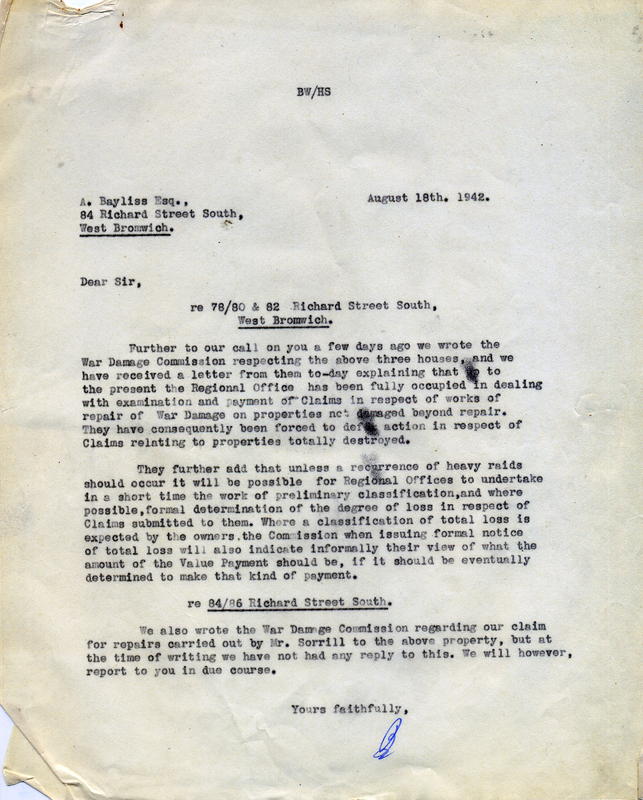 He had previously received in August 1944 a cheque for 30 pounds, 4 shillings and eleven pence for the cost of temporary repairs to the rear of 84 and 86 Richard Street South. 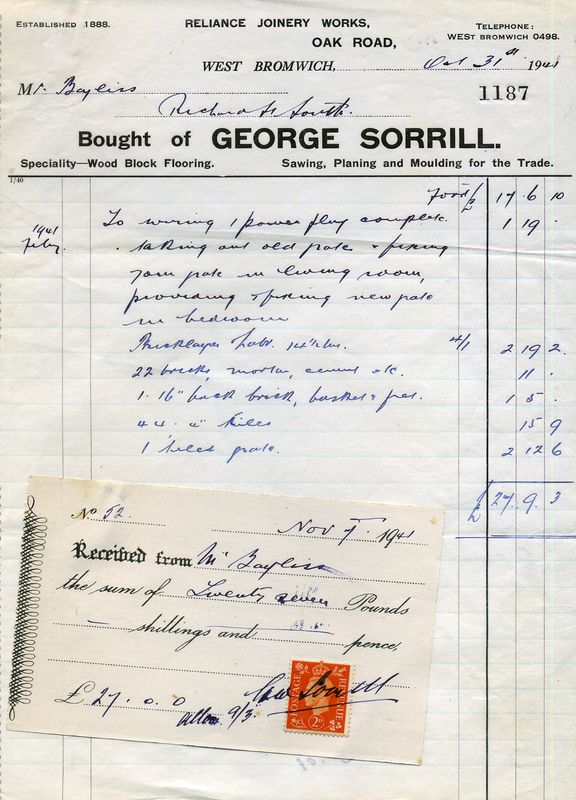 This work had been undertaken in 1942 by George Sorrill, a builder in Oak Road. 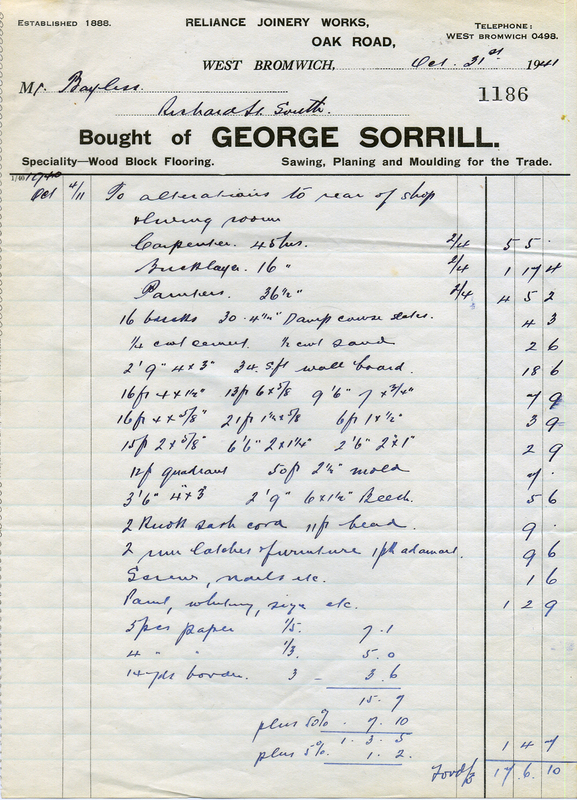 Bill for work undertaken by George Sorrill.